Anyone involved in broadcast audio will want to be in tune with the broadcast and streaming audio-centric events at the 139th AES International Convention, especially the sessions that present in-depth examinations of the sound for The Americans, Nashville, and A Prairie Home Companion. The three sessions will be among the highlights of a full complement of panels and workshops at the 139th AES at the Jacob Javits Center in New York, October 29 – November 1. The AES has extended FREE Exhibits-Plus and discounted All Access Advance Registration through midnight, Monday, October 26. “Production of A Prairie Home Companion” will take place on Friday, October 30, from 1:45 – 3:15 pm and will feature Producer/Technical Director Samuel Hudson, Broadcast/Transmission Engineer Thomas Scheuzger and Nick Kereakos, Vice President of Technology and Operations at American Public Media/Minnesota Public Radio. The panel will be moderated by John Holt. On the 10th anniversary of A Prairie Home Companion the show opened with the words, “From the control board at the Orpheum, PHC travels via underground phone lines to the tiny Satellite Control Room on the fourth floor of Minnesota Public Radio, from there by cable to MPR’s transmitting dish in a junkyard on the East Side of Saint Paul, and from there 22,300 miles to Western Union’s Westar IV satellite…” That was written more than 30 years ago, and this seminar will present a little history and a lot about how the technology behind the show – intricate, and full of special effects – has changed and how it will continue to change in the production and distribution of the program. The FX TV series The Americans follows two embedded Russian spies as they lead their double lives during the 1980s. Set in the Washington, DC suburbs, but shot in the boroughs of New York, the show follows the main characters Philip and Elizabeth Jennings as they’re exposed to both worldly and domestic conflicts. During the Saturday, October 31 “The Americans – Meet the Mixers” session (11:00 am - 12:30 pm), Ken Hahn of New York’s Sync Sound, Inc. and freelance re-recording mixer/sound editor/sound designer James David Redding III will look at some of the many challenges they’ve encountered during the sound design and mixing of this gripping Cold War drama. Now in its fourth season, the critically acclaimed drama Nashville is notable for its reliance on “live music” performances, where the stars do the singing, as key to its storyline. In the Recording and Mastering Track event “Raw Tracks 2.0 – Anatomy of: On-Set Recording Nashville – Keeping It Real,” Saturday, October 31 (3:45 – 5:15 pm), a panel of professionals including Nashville-based Mike Poole, Glenn Trew and others will reveal the intricacies required to maintain continuity and a convincing sense of reality in each music scene. Moderated by Jim Kaiser of Nashville’s Belmont University, the panel will use audio examples to spotlight the capture of the “musical performance,” the preparation to make sure all pre-production music fits the show’s requirements, and the way the music is developed and recorded to best suit the scene and all format releases including iTunes. 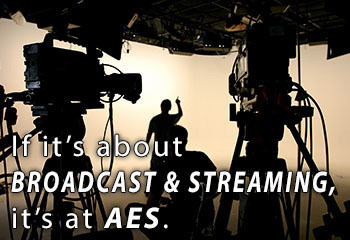 For the latest information on the AES 139 Convention in New York City and how to register for your FREE Exhibits-Plus or premium All Access badge, visit http://www.aes.org/events/139/.